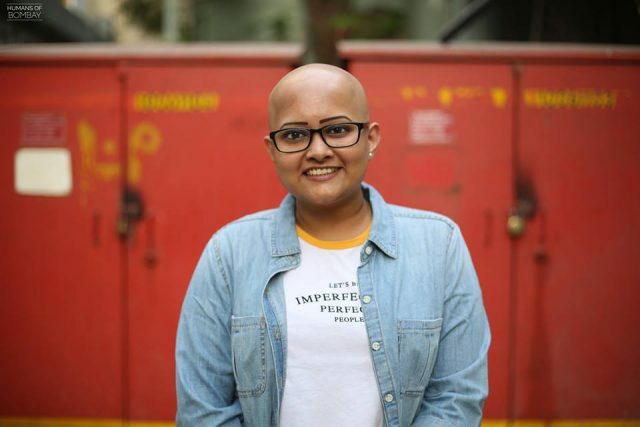 “I started losing my hair when I was about 13 years old. I was petrified. The doctors assumed it was temporary and weren’t aware of my condition. As the years passed by, I started losing more and more of my hair…even on my eyebrows. My parents were helpless and scared… my mother went to Tirupati and cut off all her hair in the hope that I would get mine back. Eventually we realised that I had Alopecia. My appearance became my biggest enemy – I had to draw on my eyebrows and wear a scarf to school. It wasn’t easy. People would stop me and blatantly ask if I had cancer. I lost all my confidence; I started isolating myself and stopped talking to all my friends. My grades were affected and my parents were worried, but there was little to nothing they could do to make me feel better. Things changed in the 10th grade – soon I was going out into the real world and my parents knew how hard it was going to be – so they gifted me a wig! I was so happy – putting on that wig gave me all the confidence I had lost. I started talking to people and making them aware of my condition – they were even more supportive than I expected! But at the same time, I started feeling vulnerable without my wig- I refused to step out if I wasn’t wearing it. I remember, once I’d borrowed something from a friend and she called me and said she needed it back urgently, but my wig had gone for repair…. I was terrified to go out without it. Around the same time,my friends made a plan to go to the beach and watch the sunrise. I really wanted to go, but didn’t have my wig. My friends refused to let me stay at home and made sure I came along. That day, I don’t know what it was – my friends, the sunrise or the waves – I felt free like never before. And just like that, I decided to go out without a wig and embrace myself without hiding. I took a leap of faith and even started posting pictures of the ‘real me’ on social media – I received so much love that I realised that all these years I didn’t allow myself to feel beautiful. Story Courtesy: Humans of Bombay.